Prior to my Japan visit I asked the folks on the Seiko forum if they might have any questions for Mr. Hattori, CEO and Chairman of the Seiko Watch Company. We got almost 20 questions, but most of them were about details rather than the grand strategy for which Mr. Hattori is responsible. So, it was decided that rather than have Mr. Hattori reply to them, the questions would go directly to the responsible person in the company & that person would answer. Below are the questions & answers. TimeZone (TZ): What I would like to know is how does Seiko view their Grand Seiko line in comparison to high quality Swiss watches. What do they perceive they offer in terms of brand value? Seiko: We are very proud of our Grand Seiko collection. It is the only luxury watch collection in the world to offer a full range of watch technologies, from high-grade, super precise Quartz to Spring Drive and automatic. Furthermore, we believe that the Grand Seiko standard of precision over time is one of the very highest in the world. The values our brand offers are today the same as it was when Grand Seiko was first created 60 years ago: Grand Seiko is as accurate, as long-lasting, as comfortable and as legible as a watch can be. TZ:	If Seiko wish to gain an increased market share for their GS line what is their philosophy? Seiko: The philosophy of Grand Seiko today is the same as when Grand Seiko was first created 60 years ago: our aim is that every Grand Seiko watch should be as accurate, as long-lasting, as comfortable and as legible as a watch can be. This philosophy has allowed our market share in Japan to become substantial and we believe that, as the rest of the world learns more about, and experiences, Grand Seiko, our share around the world will grow. Indeed this is already happening. Since the international launch, just four years ago, sales are enjoying double digit growth every year. However, let’s be clear; we will never compromise on the values of Grand Seiko in order to increase sales. We are very patient and we believe deeply in what Grand Seiko represents, namely the very best of Seiko. Seiko: No. As in most countries, the designation of ‘Made in Japan’ can only be used if strict rules have been adhered to. We only use the designation ‘Made in Japan’, if the movement and the complete watch has been assembled in Japan. TZ:	Will there be a more affordable version of the “Spacewalk”? Seiko: Not exactly, but in our Landmaster series, we offer a similar case with a Spring Drive movement and with the crown at the 12 o’clock position, just as in the Spacewalk model. The model is SBDB005. TZ:	Brand positioning of GS? How to increase the public awareness for its quality and high standard? Seiko: We do not consciously ‘position’ Grand Seiko. The values that Grand Seiko offers today are the same as when Grand Seiko was first created 60 years ago: Every Grand Seiko watch is as accurate, as long-lasting, as comfortable and as legible as a watch can be. This has been is and always will be the philosophy of Grand Seiko. As to how we will increase the public awareness, it is early days on the international market. It was only in 2010 that we made Grand Seiko available internationally and the brand is still young outside Japan. However, we are very pleased with the retail distribution we have achieved so far and with the welcome that the world’s media has given to Grand Seiko. At Baselworld, you will see that we give Grand Seiko the same prominence as we give to the Seiko brand itself. This is a clear demonstration of the importance we place on Grand Seiko for the long term. TZ:	Will Grand Seiko or Credor consider executing Bespoke Special Order Watches for their Clients? Seiko: Not at the moment, and we have no plans to do so for Credor or for Grand Seiko. However, those who are interested in a customised watch may like to consider the Shizukuishi collection made by Morioka Seiko. These are hand-winding and automatic watches made to order at the Shizukuishi Watch Studio in Morioka and they can be customised to individual requirements. These watches are only available in Japan. TZ:	Are all parts of the GS made and assembled in plants in Japan? Seiko: All the Grand Seiko watch components are made in Seiko’s own facilities, by companies fully owned (or in a very few instances, majority owned) by the Seiko Group. Of course, the assembly and finishing of all Grand Seiko watches is done in our two wholly owned luxury watch studios in Morioka and Shiojiri. TZ:	The internet shows that Seiko has an amazing range of watches, in all styles and price points. Unfortunately, only a small subset of these are available through the normal sales channels in Europe. Even more unfortunately, these are often the more mundane and uninteresting models. There’s no way to get even a “humble” SK007. Why does Seiko position itself this way in the market? Seiko: For many years, a major reason for Seiko’s global success was our ability to design watches best suited to each region. This resulted in a very wide range of styles, price ranges and technologies being available. 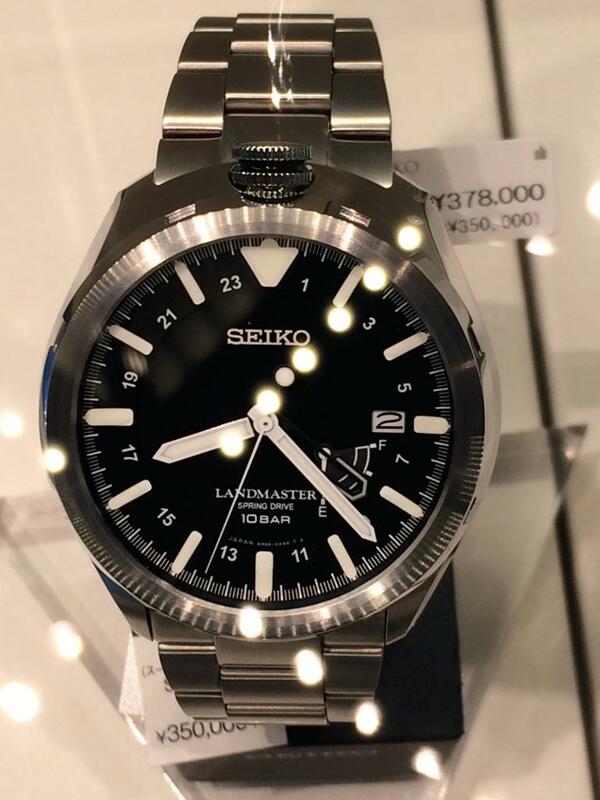 Today, with the power of the internet at everyone’s disposal, it is sometimes frustrating for fans of Seiko to see models that are available only in selected markets. We are very aware of this and we are globalising our collection. The launch of Prospex in 2014 is a good example, as this series was previously only available in Japan. By the way, SKX007 is available from Seiko France and elsewhere in Europe. Please see here. TZ: Which is the biggest market in terms of dollars and quantity? Seiko: Seiko has been marketed in every part of the world for over 50 years and its success has been global. We regret that we cannot disclose sales details by market, but after Japan, Europe and the Americas are the most important markets for Seiko. TZ: Which is the most expensive item even produced by Seiko and is Seiko still keeping it? Seiko: In the 1980’s, we made some jewellery watches in the Credor collection which carried retail prices of 220 million yen. This equated, at the time, to around 1 million dollars. We believe that these are the most expensive pieces we ever made. The yen has appreciated by around 100% since then, so today’s value would be around $2 million; but the value of diamonds has also massively increased since then, so it is actually difficult to put a current value to the watch. For example, the watch glass isn’t plastic, nor sapphire, rather it is a multi carat perfect clear white diamond cut and polished to fit the case. Today, the CredorMinute Repeater is the most expensive watch in current production. Its retail price is 33 million yen. TZ: Which is the oldest item ever produced by Seiko and is Seiko still keeping it? 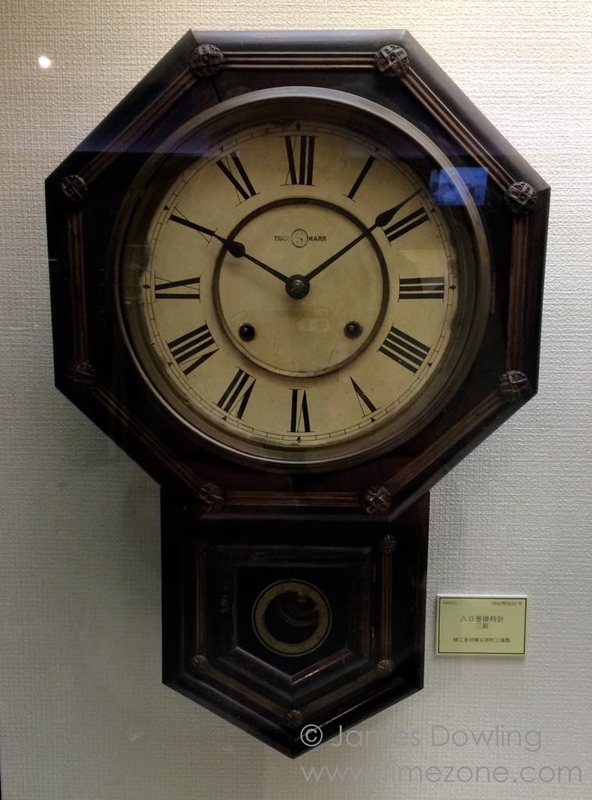 Seiko: In the Seiko Museum, we have a clock that was made within the first few months of the opening of the Seikosha clock factory in 1892. The factory was founded just 11 years after Kintaro Hattori set up his business as a clock sales and repair shop in Ginza, Tokyo. TZ: How many watches in total per year does Seiko produce? Seiko: We regret that we cannot disclose production numbers. However, business information on Seiko Watch Corporation and its parent company, Seiko Holdings, is freely available, and our latest full year results are available at www.seiko.co.jp.Seiko Holdings’ watch sales in 2013/14, across all our brands, were 151 billion yen, up from 121 million in 2012/13. TZ: Is Hayashi Seiki (the company that makes Grand Seiko cases) a subsidiary of the Seiko Watch Corp.? Does it only make GS cases for Seiko Instruments or also for Seiko Epson? Seiko: Yes. The Seiko Group is the majority shareholder. The company makes cases only for Seiko Instruments. TZ: As you see, I enjoy collecting vintage GS (in the 60s’and 70s’) but found that it is difficult to service these as Seiko repair centres do not keep such parts for repair nor go out of its way to fabricate needed parts. I understand many brands have similar limitations but I do really like to know what is Seiko commitment to service its GS line of watches, especially the SD before I would consider keeping the modern GS. 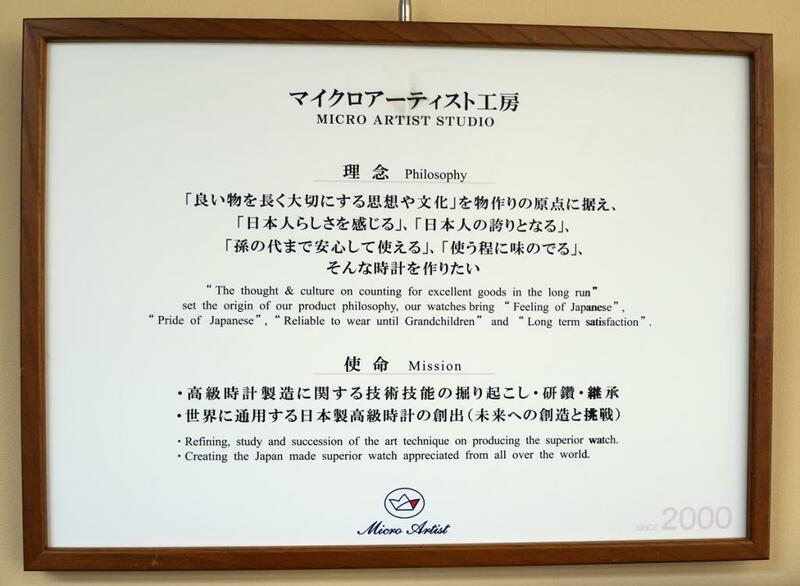 Seiko: On the wall outside the Micro-Artist Studio in the Seiko facility in Shiojiri is a framed statement of the Studio’s philosophy. It contains the phrases: “Reliable to wear until grandchildren” and “long term satisfaction”. These ideas apply to Grand Seiko, just as they do to the Credor and other watches that the Shiojiri facility manufactures. For all Grand Seiko watches, we retain inventories for projected use decades ahead, so the serviceability period can be as long as possible. This applies to all Grand Seiko movement types, including Spring Drive. TZ: What are the cultural or artistic associations that led to the choice of a black letter (aka Gothic) font for the words “Grand Seiko”? Seiko: As far as we are today aware, the decision was taken on artistic grounds and there were no cultural associations implied in the selection of the logotype of Grand Seiko. 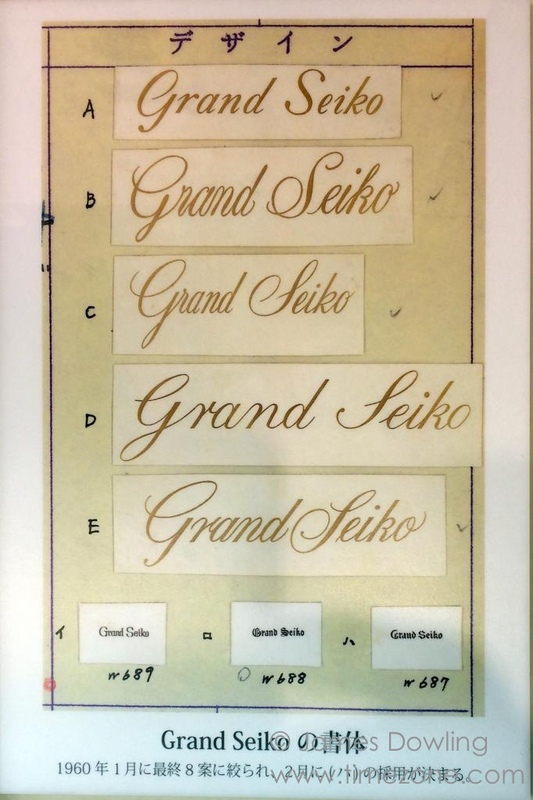 At the Seiko Museum, we have design boards showing that the Grand Seiko team looked at many different options for the Grand Seiko script and the ‘GS’ logo. Their final choice was in keeping with the typefaces used on existing collections like Marvel and was made purely on aesthetic grounds. TZ: Why not Grand Seiko with sub seconds dial? It was done for the 2000 Historical Collection, using the manual wind 9S54, on a pocket watch. Cal 8L34. Seiko: The philosophy of Grand Seiko puts legibility and precision at the very centre of each design. We believe that a sub second dial is not appropriate as a centre second hand better delivers these essential characteristics. TZ: Is the Marinemaster 300 getting an upgraded movement based on the 9S6X caliber? Seiko: Not exactly. It’s based on 9S55 instead if 9S6. TZ: Will there be a high beat 36000 bph manual winding GS? Seiko: We have no plans for such a watch at the moment, but the possibility is interesting!